To use the parlance of the stand-up comedy business, Fox’s new multi-camera comedy Mulaney died in its first outing Sunday. 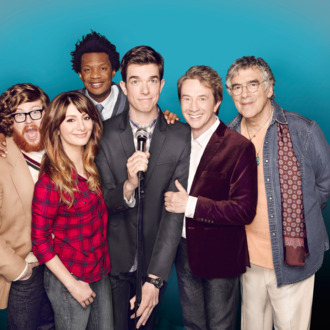 The premiere episode of comic John Mulaney’s long-in-development half-hour averaged 2.3 million viewers and a disastrous 1.0 rating among adults under 50, losing nearly half of its Family Guy (3.7 million, 1.9 rating) lead-in among younger viewers. The viewer erosion was even worse among Fox’s Sunday target, adult males under 35: After Family Guy did a 2.5 in that demo last night, Mulaney collapsed to a 1.0, holding on to just 40 percent of its lead-in. By itself, the Mulaney numbers aren’t that much worse than Fox’s other live-action half-hours; New Girl and The Mindy Project actually had fewer same-day viewers last week and did only marginally better in demos. But even in an era of DVRs and viewers self-scheduling, broadcasters still look closely at how shows perform relative to lead-in, and by that measure, Mulaney laid an egg. It’s possible Fox will give the show a few more weeks to find an audience — but this is the sort of opening from which most series never recover. Maybe Fox should’ve just tried airing a few episodes in the summer as a test.